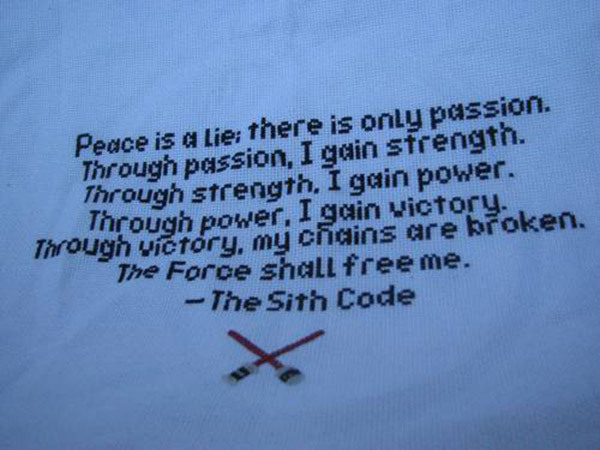 Darth Bane received this from lightninglisa, a fellow member of the Brotherhood of Darkness, as a birthday gift. It was immediately Force Lightning’d to ashes (along with the gift-giver). Bane took the gift as the last straw, another sign of the Brotherhood’s… weirdness, and so he left to establish his own Sith Order.